She hosted “Chansons @ D’Amour” at her home in Lauderdale during the 2001 season. 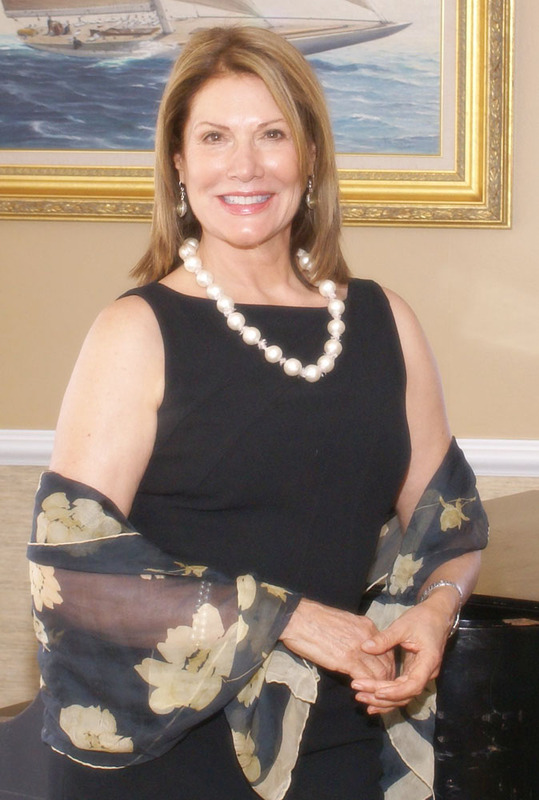 During the 2002-2003 season she co-chaired the “Guess Who’s Coming To Dinner” committee with Nancyetta Palumbo and co-hosted another highly successful dinner with friends and Opera Society members, Bill and Janet Mehner and John and Nancyetta Palumbo. She has co-chaired the Mad Hatters Tea, has been co-editor of the newsletter, Recording Secretary, and co-chair of the Public Relations Committee. Beatriz has volunteered for other organizations such as Women in Distress and Friends of the Museum. A native of Cuba, Beatriz came to Miami with her parents who fled the Castro regime in 1961. She married and had her daughter, Betty Andrikopoulos. She attended Florida International University, graduating with a BA in Economics. She received the “outstanding Economics Student” scholarship maintaining a 3.9 GPA. She started her professional career with Metro Dade County, Miami, Florida. She held several administrative and managerial positions. While with the Transit program, she was president of the “Women’s Transportation Seminar” an organization promoting the participation of women in the transit industry. She was also honored by the Latin Builders Association for her contributions to the Minority Owned Businesses program. Prior to moving to Fort Lauderdale, she resided in Freeport, Grand Bahama, where she did volunteer work with the Grand Bahama Children’s Home. Her summers are spent in Jackson Hole, Wyoming, where her daughter Betty and grandchildren, Alex and Sophie, reside. Shaun, Betty’s husband, is a native of Wyoming. “I am so fortunate that I can spend time with my kids. This is the greatest blessing for me.” The family members are all avid skiers. Sophia is a very good horsewoman, competing English style, and Alex loves stunt biking and skateboarding. Her passions are her grandchildren and dancing. The most important people in her life are her daughter and her husband, Shaun, her sisters and brother, and her friends.